January 1969: Delayed by turbine problems. February 12th 1969 – February 15th 1969: Sea trials. 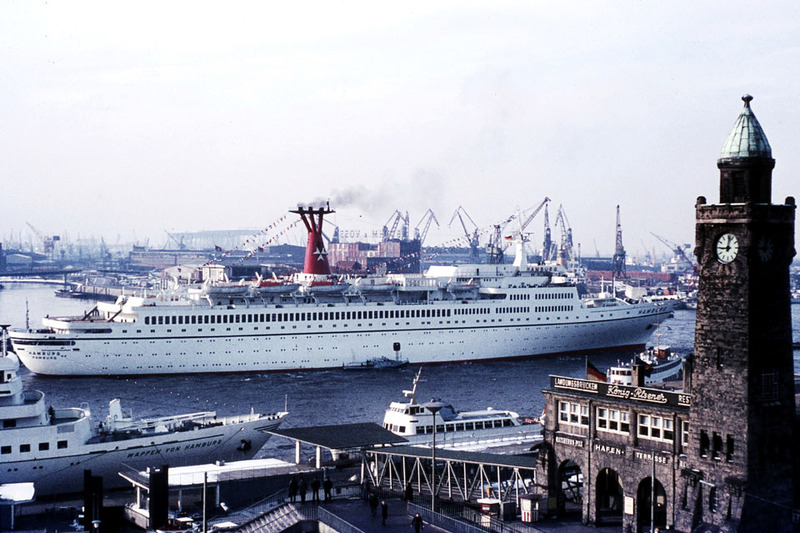 March 20th 1969: Delivered to Deutsche Atlantik-Linie, Hamburg, Germany. 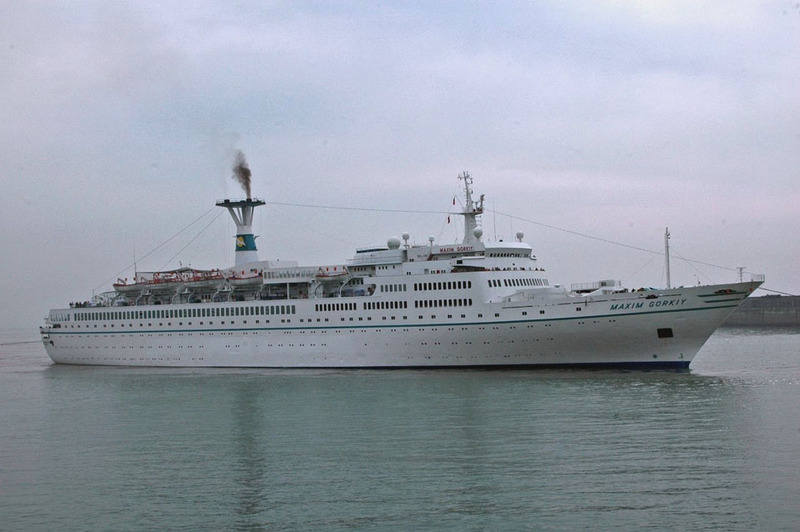 March 28th 1969: Maiden cruise Southaven – South America. 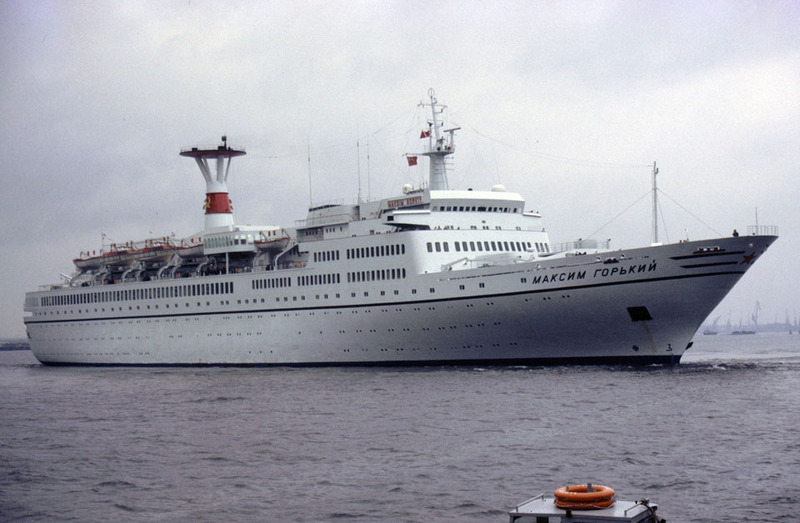 June 1969: Maiden sailing to New York. 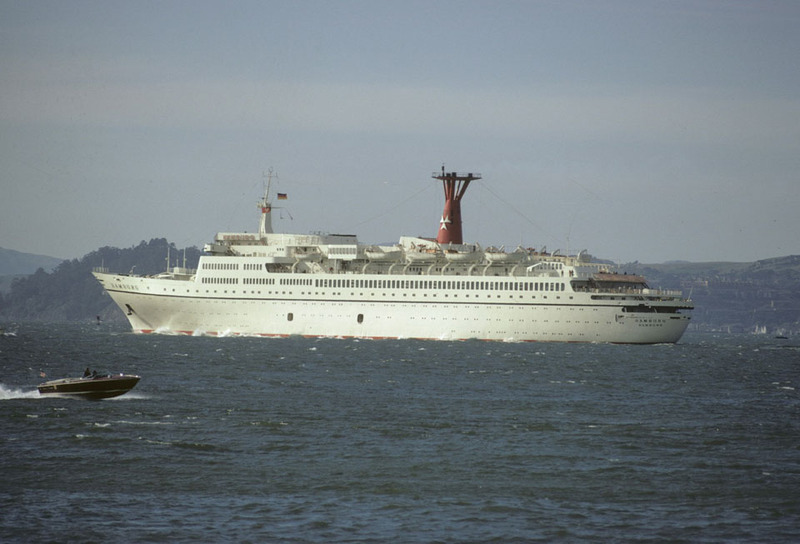 February 7th 1972: Commenced cruise service from San Francisco and Los Angeles. 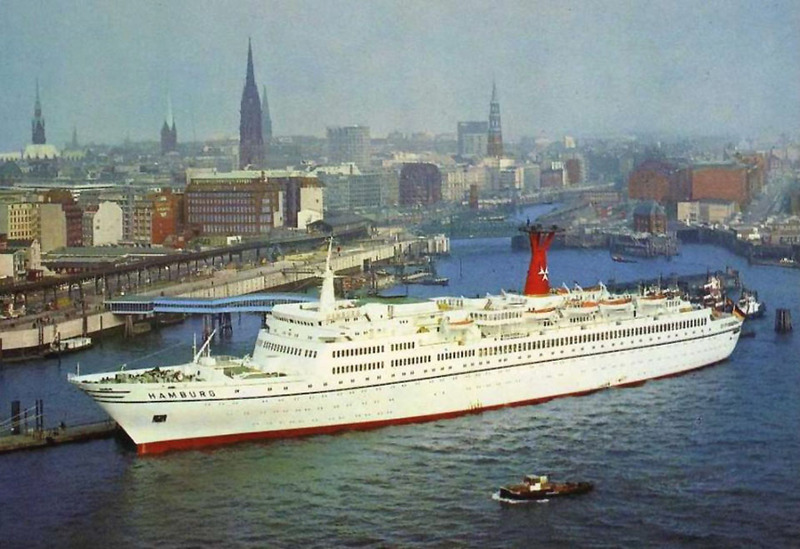 September 25th 1973: Renamed HANSEATIC. 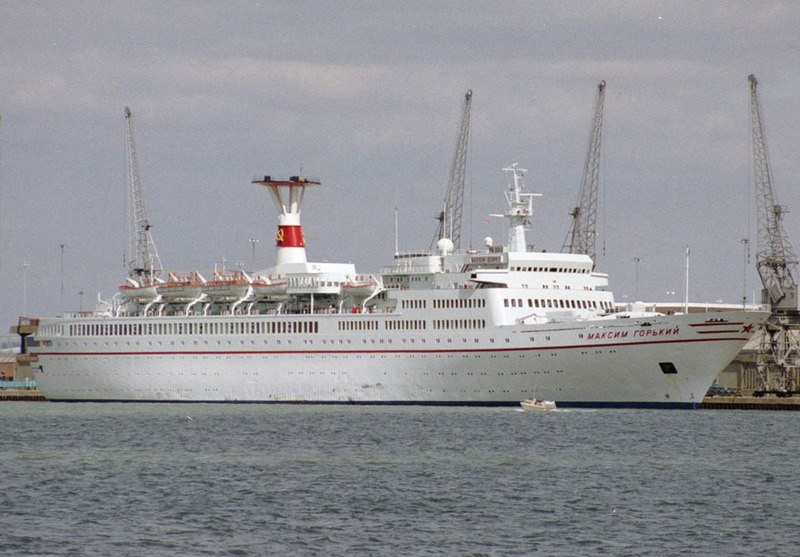 December 1st 1973: The Deutsche Atlantik-Linie, ran into financial difficulties and ceased operations. 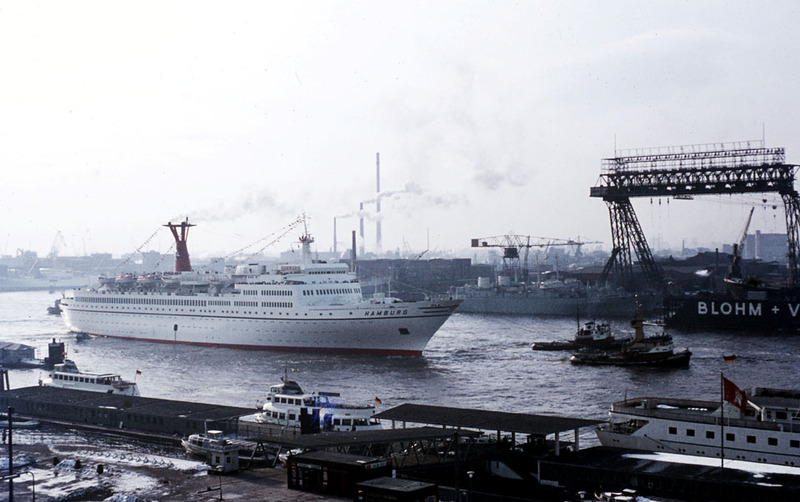 The vessel was laid up in Hamburg. December 1973: Proposed sale to the Japanese Ryutsu Kaiun KK. 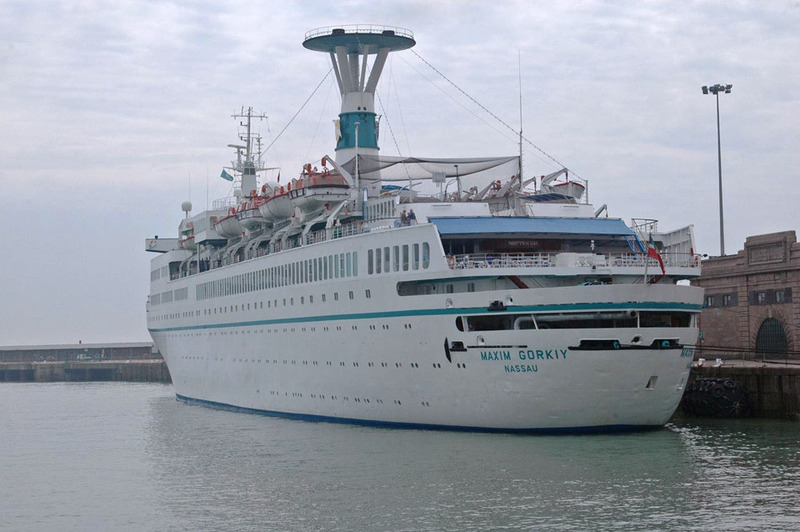 January 25th 1974: Sale failed and after being handed over to the Robin International Corp, New York she was sold to Black Sea Shipping Co, Odessa, Soviet Union. 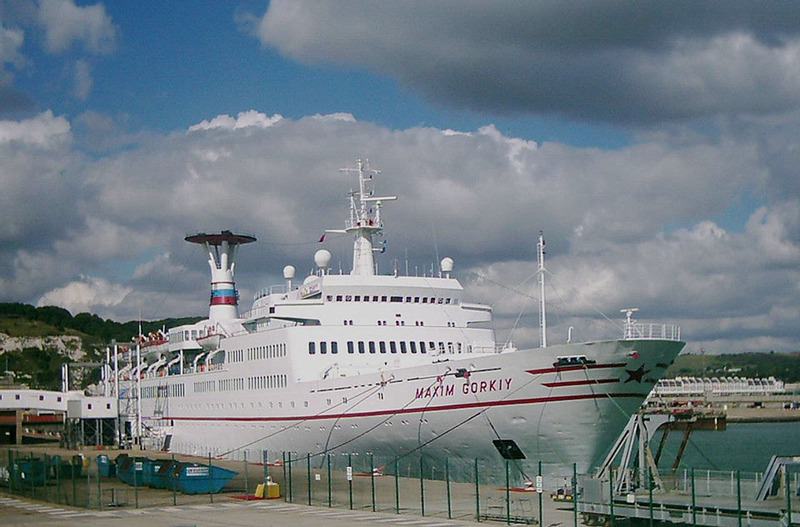 Renamed MAKSIM GORKIY. 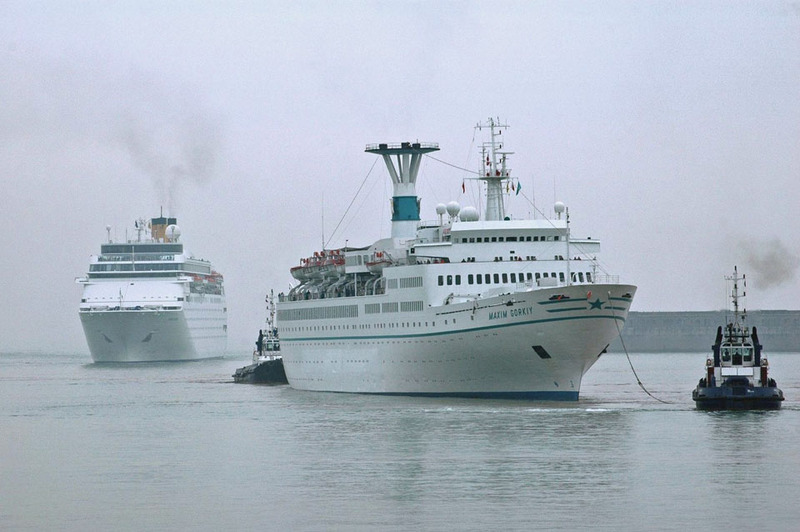 Commenced world-wide cruising. 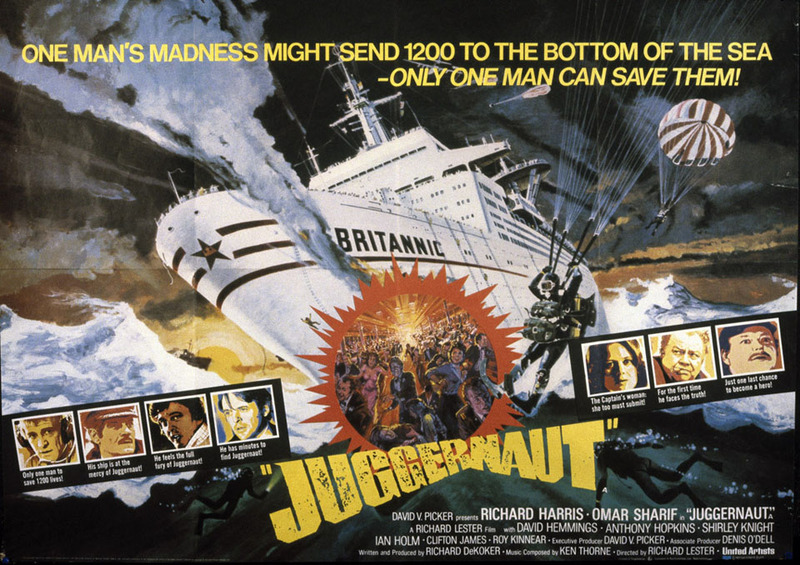 February 19th 1974: Left Southampton under charter to United Artists Films as a floating prop for the film “Juggernaut”; temporarily named BRITANNIC. 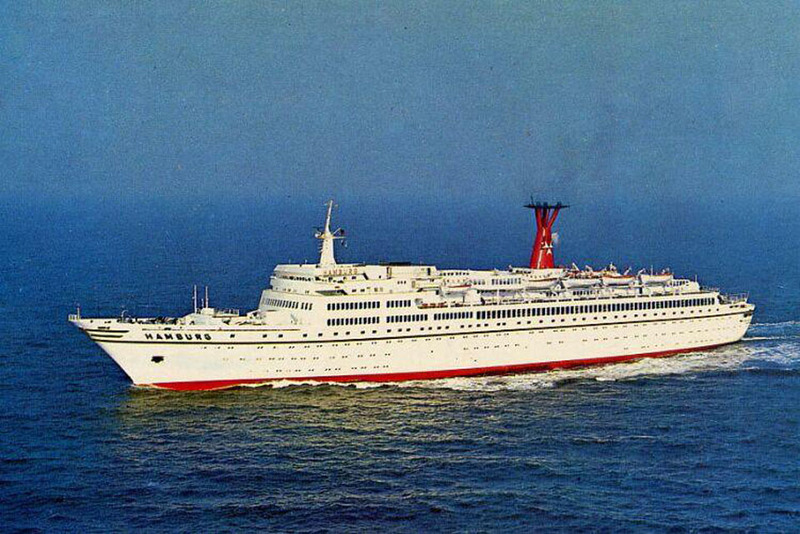 1975 – 1975: Cruising from New York. November 1975: Damaged by bomb explosion at San Juan. November 1975: Repaired at Bethlehem’s Steel, Hoboken. September 18th 1980: Owing to the Afghanistan conflict she was unable to enter New York and consequently had to anchor off Staten Island. 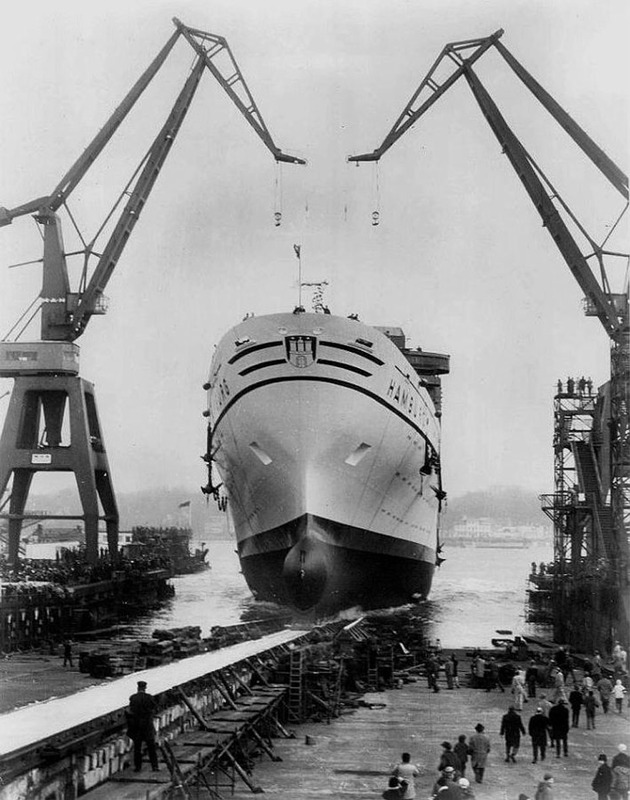 All disembarking passengers had to be taken ashore by launch. 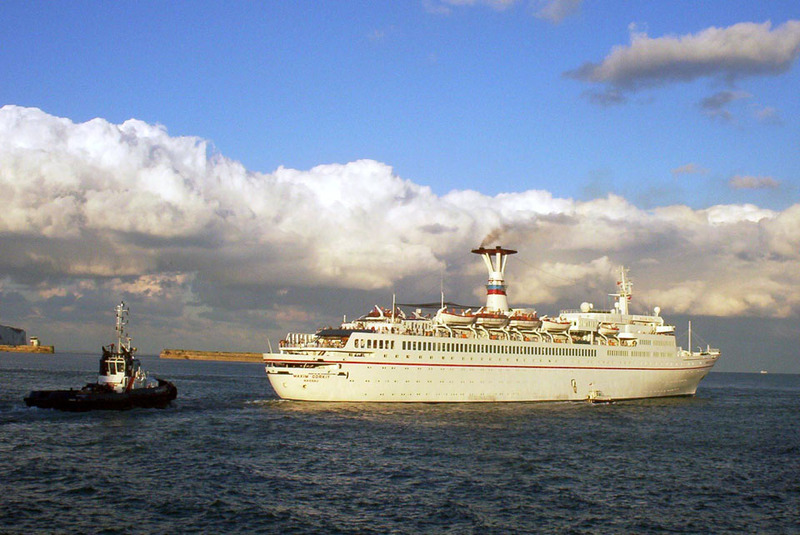 April 29th 1988: Arrived at Bremerhaven for modernisation by Lloyd Werft, Bremerhaven GmBH. 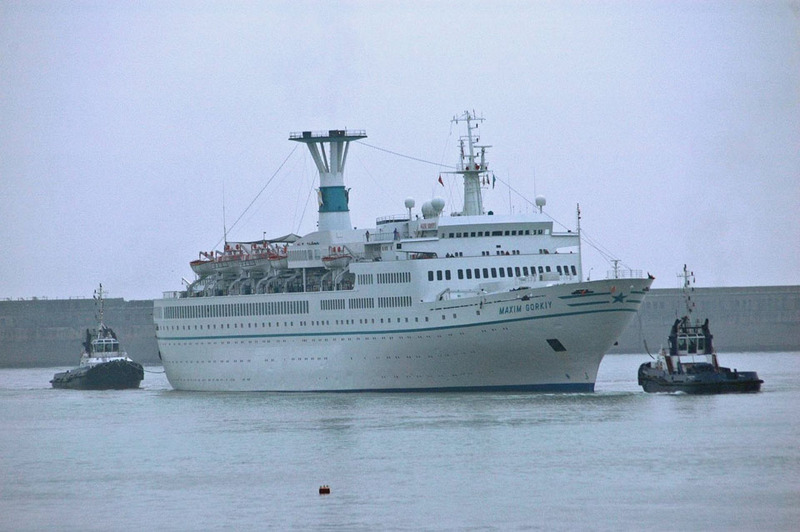 June 2nd 1988: Delivered back to her owners on completion of the work. 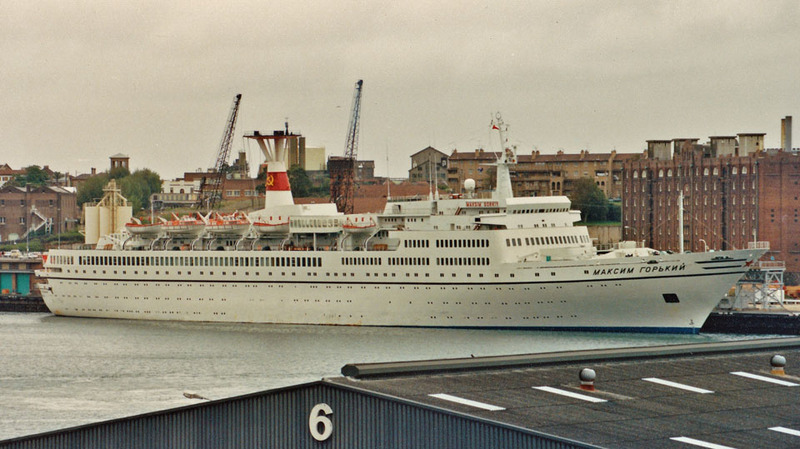 September 1988: Chartered to Phoenix-Reisen, Bonn, Germany. 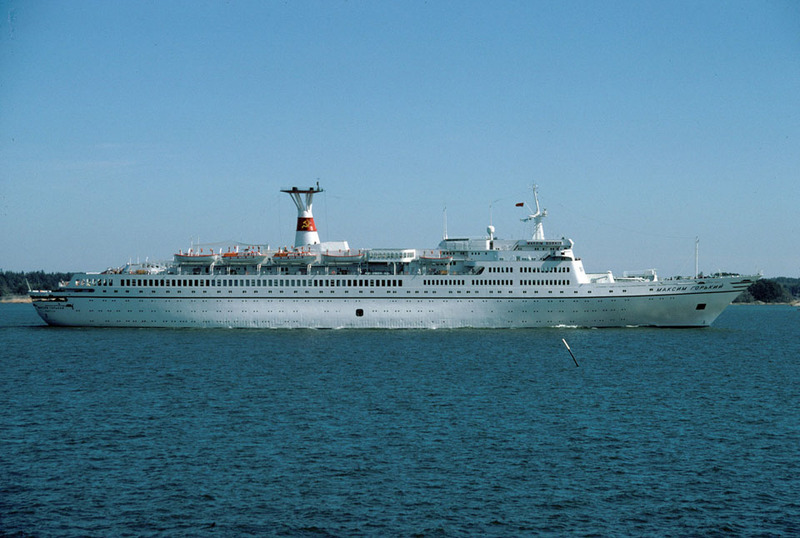 June 19th 1989: Sailed on a cruise from Iceland to the Gulf of Magdalene, Spitsbergen, with 575 passengers and a crew of 378. Unfamiliar with theses waters, the ship’s master sailed the vessel into drifting ice. 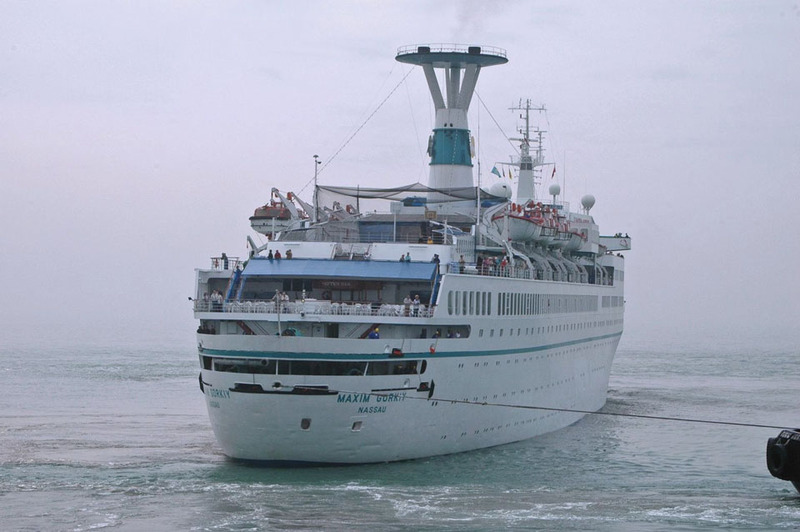 Shortly before midnight pressure from the ice caused a leak and the ship began to sink. 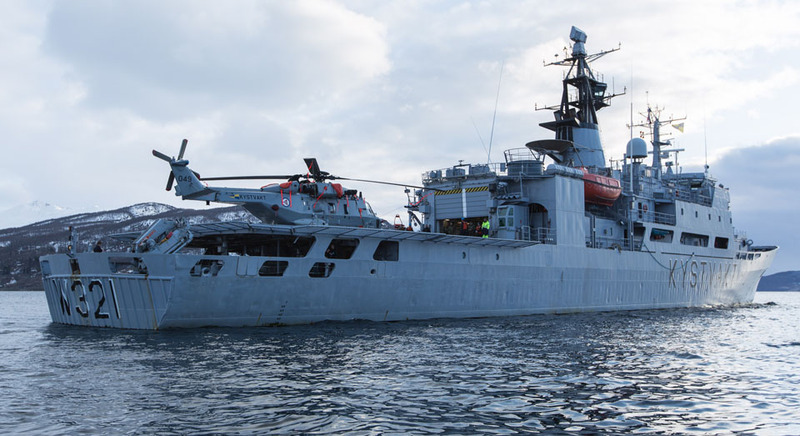 The master radioed SOS and ordered passengers and 120 members of the crew into boats. June 20th 1989: Norwegian coastguard vessel SENJA reached the scene at 3 a.m. and her divers assisted in patching the leak in the ships hull. In the course of the day the divers succeeded in stabilising the ship, already down by the head to main deck level. Passengers who had endured freezing-point temperature while in boats and on ice flows were taken on board SENJA. Frail and sick passengers were flown by helicopter to Spitsbergen. SENJA took passengers to Longyearbyen, Spitsbergen. 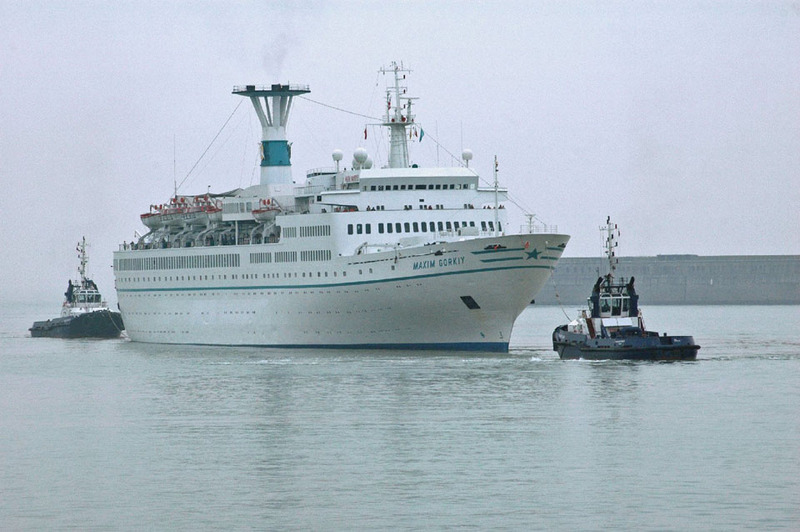 June 21st 1989: With temporary patching, towed to the inlet on Spitsbergen. Passengers flown to Dusseldorf. 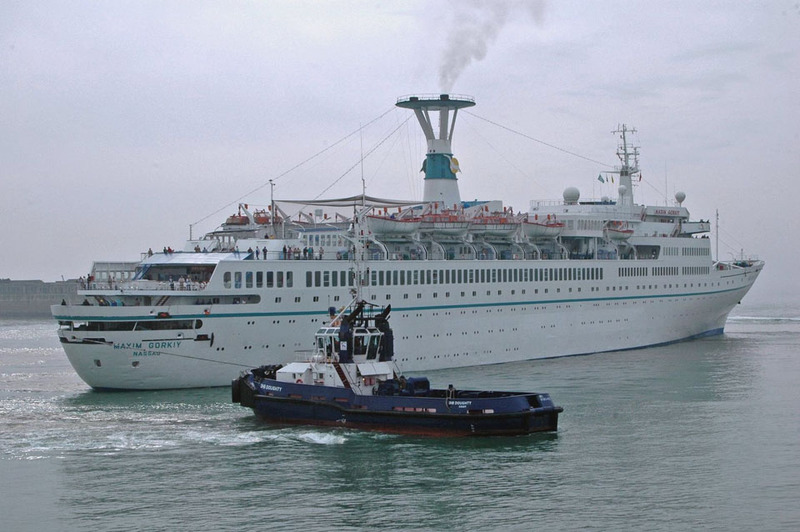 July 4th 1989: To Bremerhaven under own power for repairs. 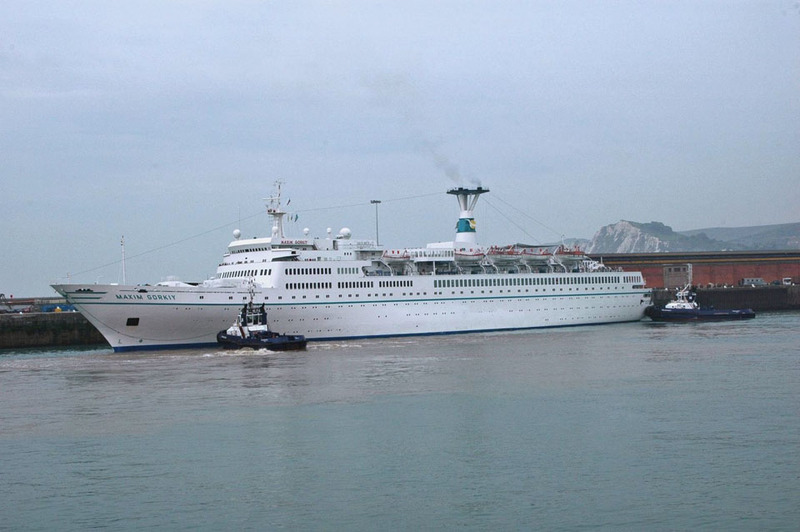 August 17th 1989: Re-introduced into cruising service. December 2nd 1989 – December 3rd 1989: Played host to an international summit in Malta between America’s President Bush and Russia’s leader Mikhail Gorbachev. 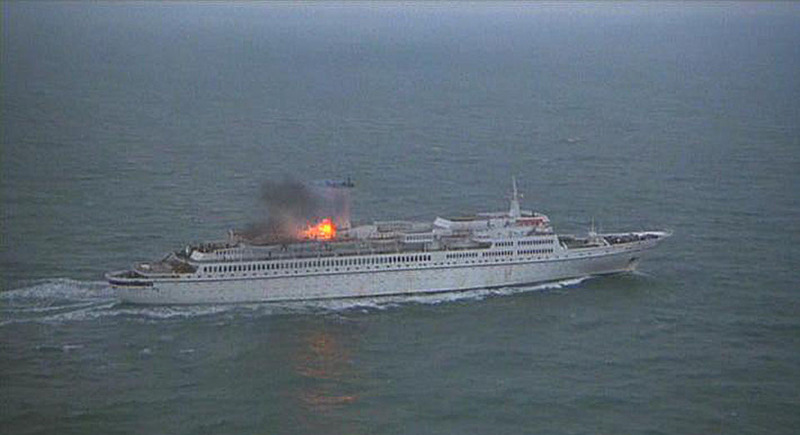 July 26th 1991: Outside Spitsbergen there was damage in the crew’s quarters when a TV exploded. Three people were injured. 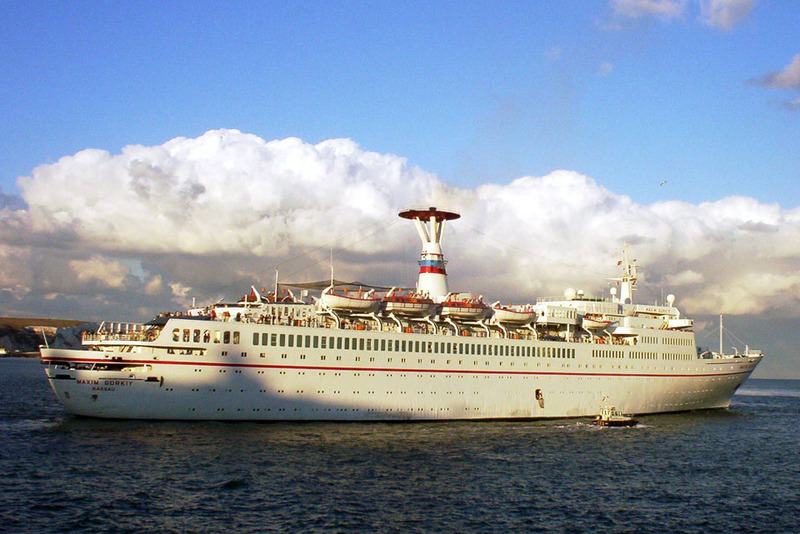 December 1991: Registered to Bahamas, home port Nassau. 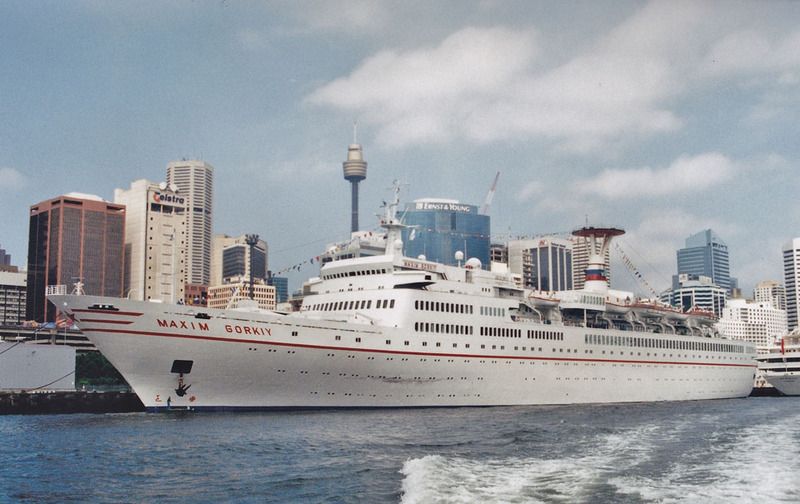 Name repainted as MAXIM GORKIY. 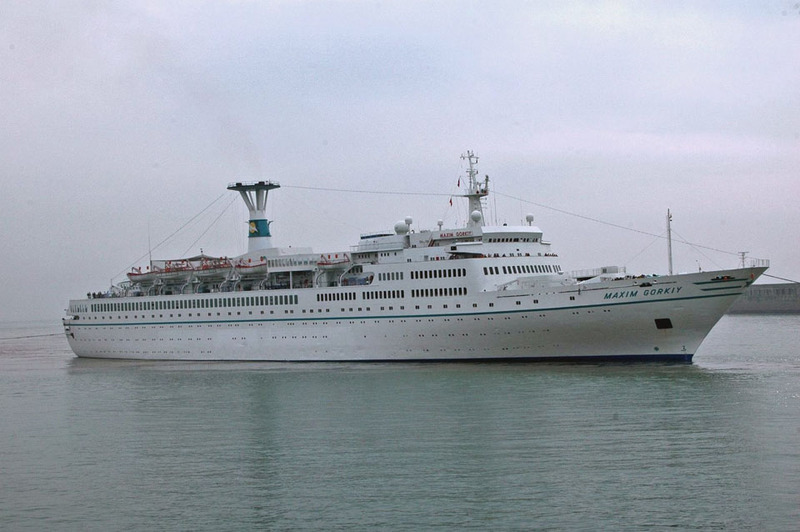 December 16th 1992: Sold to Belata Shipping, Limassol, Cyprus. 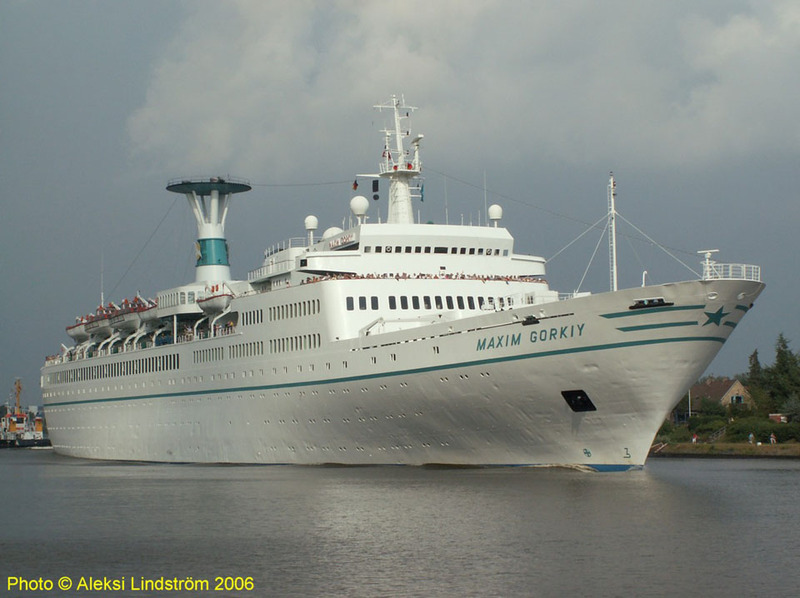 1996: Sold to Maxim Gorkiy Shipping Co, Nassau, Bahamas. 1998: Management; Lothian Shipping Services. 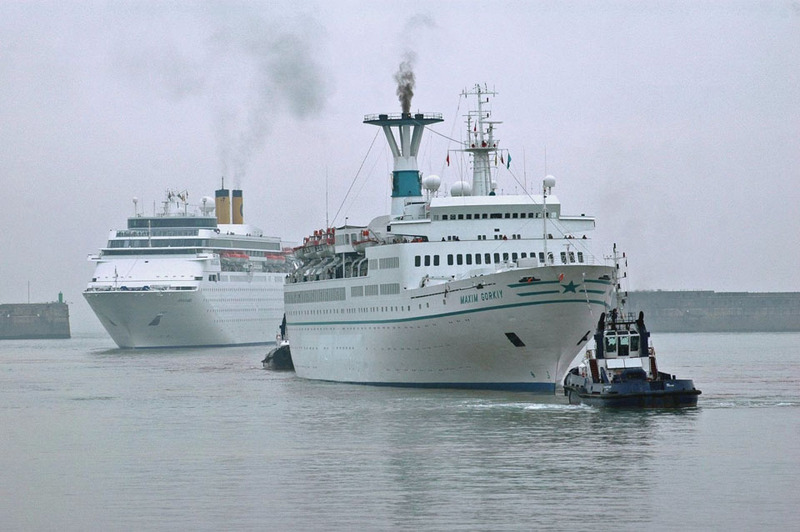 December 2005: Yard refit and livery change in Hamburg. 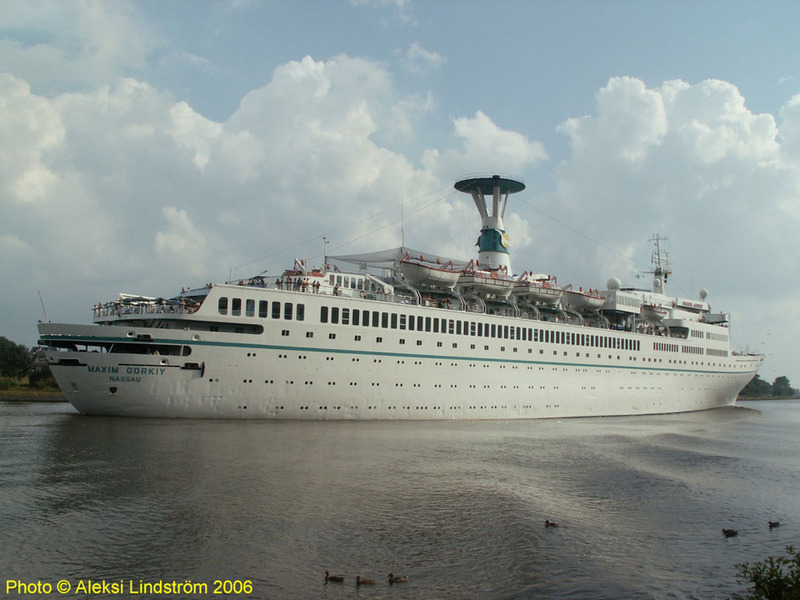 November 30th 2008: Completion of charter to Phoenix Reisen. December 2008: Laid up in Eleusis Bay. 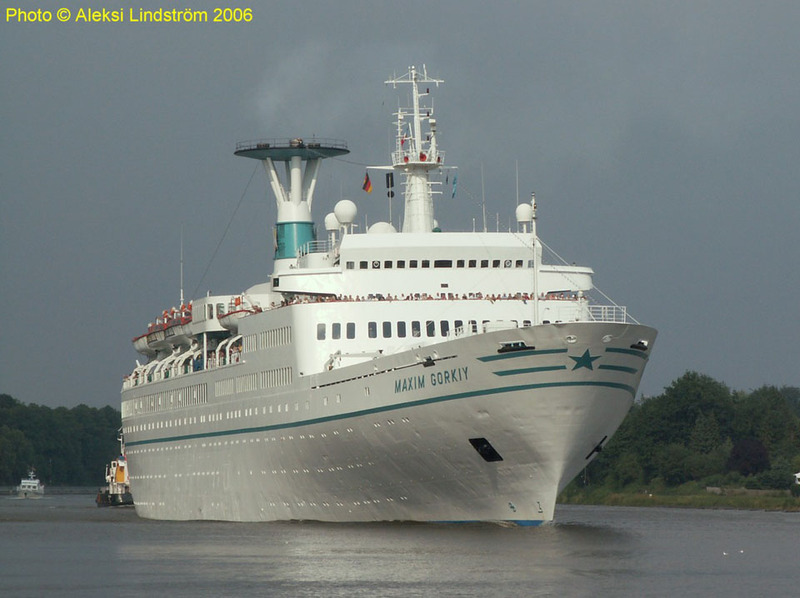 January 2009: Sold to Advanced Distribution Co, Ltd, Nassau, Bahamas and renamed MAXIM G.
January 28th 2009: Left Eleusis Bay for Alang, India. February 25th 2009: Arrived Alang, India for scrapping. All information is believed to be correct and no responsibility is accepted for any errors or omissions. All items included in this article are subject to © copyright. We would like to take this opportunity of thanking: Jens Boldt, Brian Fisher, Tony Garner, Chris Howell, Aleksi Lindström, John Mavin, Willem Oldenburg, Marc Piché and Andreas Wörteler for their assistance in producing this feature.